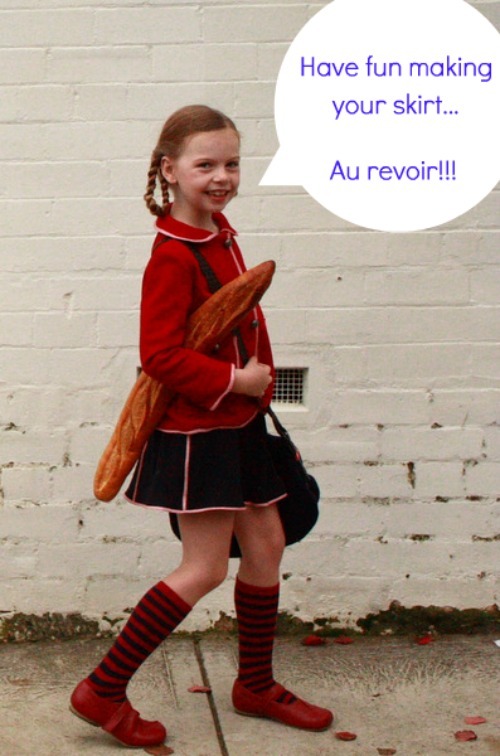 Today we have Maryanne and Caroline from Sew Together sharing their darling skirt from last week win with us. I am amazed at the amount of upcycling they did----I seriously would have thought that most of their outfit was new materials. What a credit to them! We are very excited to share a tutorial from our Earth day outfit Liberté, Egalité, Frugalité today. All of the outfits from last week’s challenge were so fantastic, weren't they? We were amazed by the diversity of designs and skills seen in the projects last week, all using what would sometimes be seen as useless. Participating in the Earth day challenge has certainly changed our perspective - moth holes are no longer a tragedy, they are actually an opportunity!!! 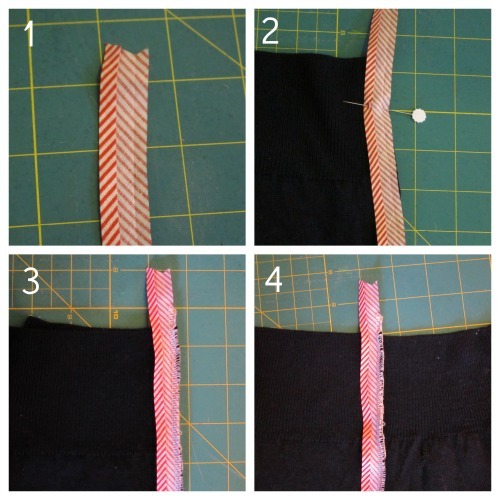 Today we have decided to show you how to make a sweet 6 gored skirt from a jumper (pullover). If you don't want to upcycle you could use exactly the same ideas to make a skirt from any stretch fabric. Please excuse the infrequent and poor quality photos. They were all taken in the middle of the night when we were rushing madly to finish our project! · an old jumper, the bigger the better. Slightly moth eaten is OK, but you will need to be able to work around the holes. We were lucky to find a 100% wool very soft fine knit jumper in Madeleine's grandfather's cupboard. Don't be tempted to use a hand knit because it will unravel when you cut it - stick to a machine knit. 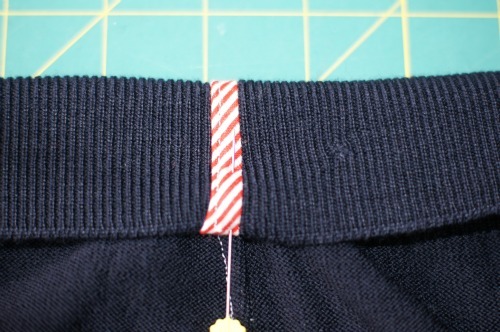 · an overlocker (serger) makes this project very easy. 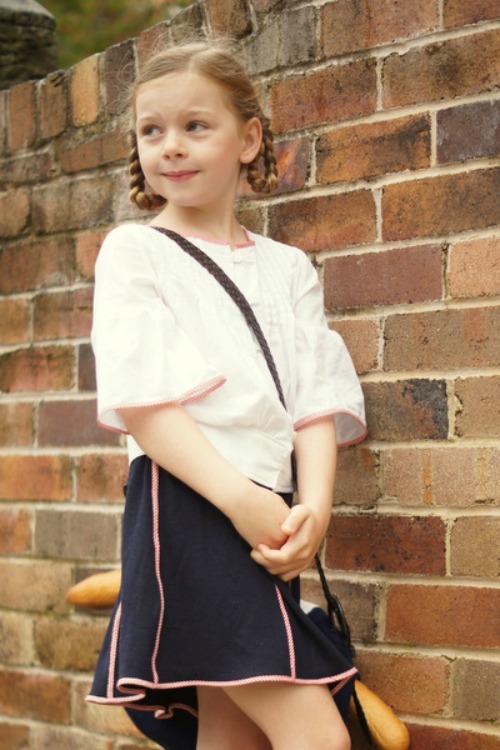 We'll give you some tips on how to do it with a standard sewing machine but we are sure the overlocker would make the whole skirt a little stronger and less likely to pull with washing. The first step is to find out how much fabric you have to work with. This was determined for us by the size of the jumper we used. We measured the widest part of the jumper front (which was at the bottom edge of the arm hole) and divided it by two (because you need to fit two gores on to each front) Play around a bit and work out what will fit for you. 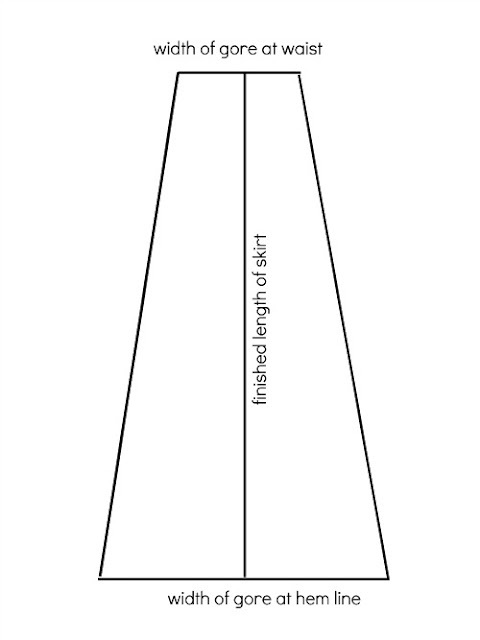 Draw up all these measurements on to your piece of paper, just like in this picture. This is your pattern and it includes seam allowances. 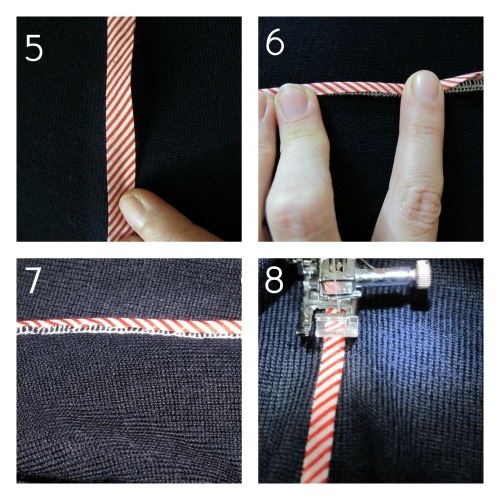 You will need to cut out 6 gores from your jumper – one from each sleeve, two from the front and two from the back. If you have an overlocker you can sew the gores together and attach the first part of the bias binding all in one step. 2. 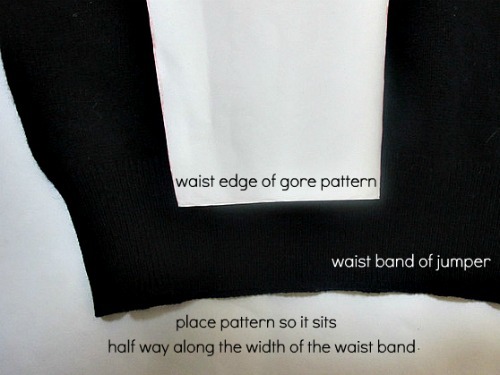 Take two of your gore pieces and lay them out wrong sides together, lining up at the waist band edge. Pin the gores together with the bias on top lining up all the raw edges. Make sure there is a 5cm over hang on your bias binding. This will make finishing off the casing easier and neater. 5. Iron the bias binding back so it sits flat and covers the over locking. We find the more ironing you do the flatter the final seam. 7. We found it necessary to baste the bias binding in place before we could top stitch it flat. A very rough hemming stitch did the job. It doesn’t need to be flash so it won’t take you long. Do this for all six gores and you should end up with something that looks like a skirt! If you don’t have an overlocker, we would suggest that you complete steps 1 and 2, sewing the seam in step 3 with a straight stitch. Then edge stitch all 3 edges together with a zig zag stitch. Keep going from step 4 as described above. 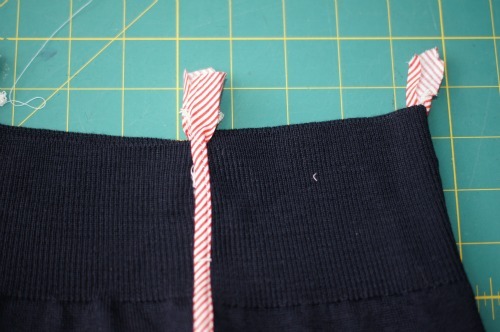 Fold the waist band in half, to the wrong side of the skirt. Tuck in the extra overhanging bias binding and then stitch in place. Don’t forget to leave a small opening in the casing to thread your elastic through. Once it is in place and you have checked it is a good fit you can sew up this little opening. Aren't you excited to make one? Thanks ladies!